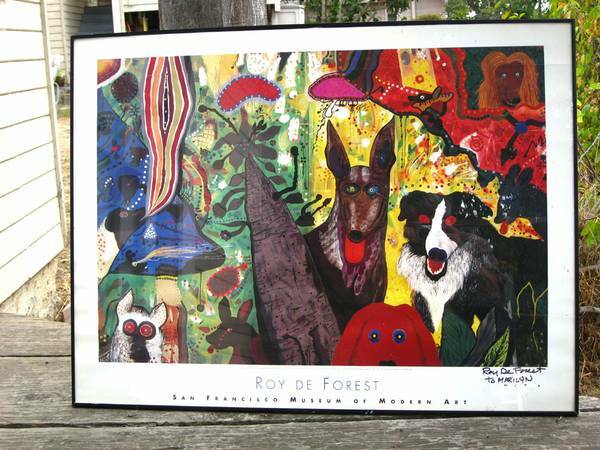 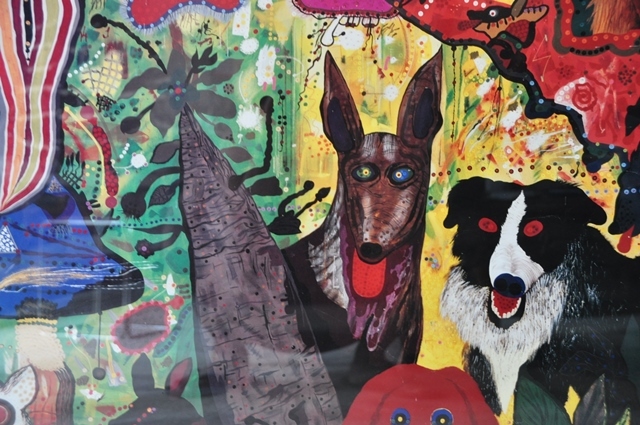 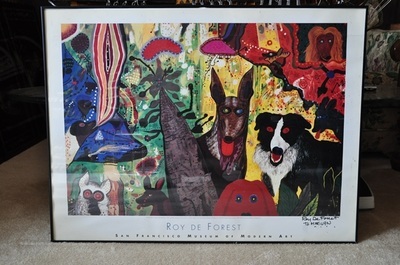 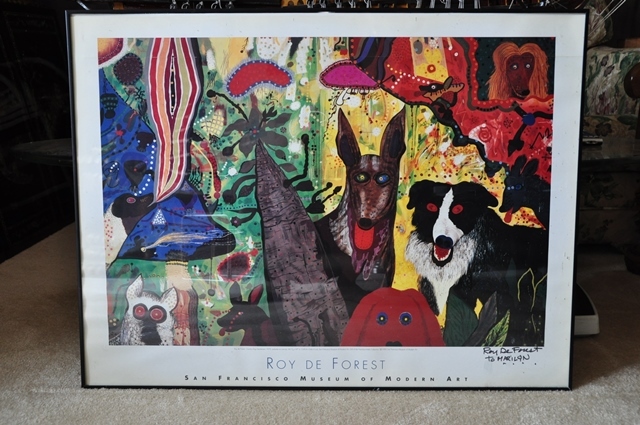 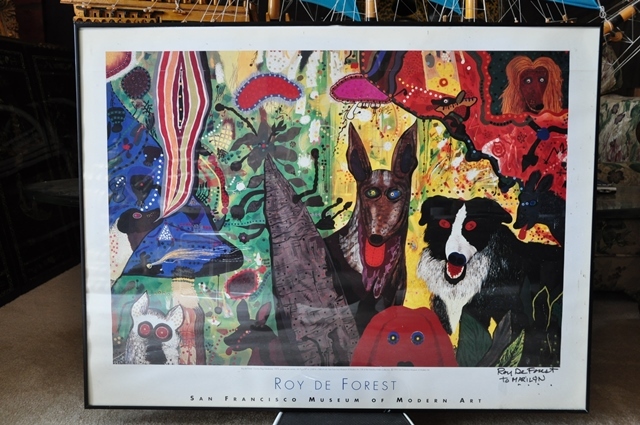 This is a framed print of the colorful 1972 painting Country Dog Gentlemen by the famous California artist Roy De Forest (1930-2007). 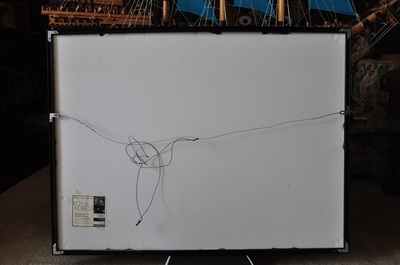 He is no longer alive. 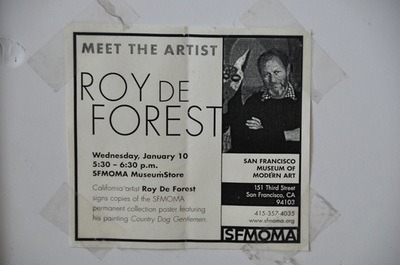 The original painting is displayed in the San Francisco Museum of Modern Art (SFMOMA). 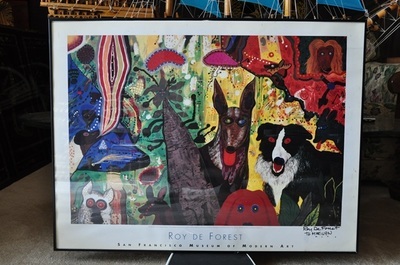 The frame is about 36"x27" in size. 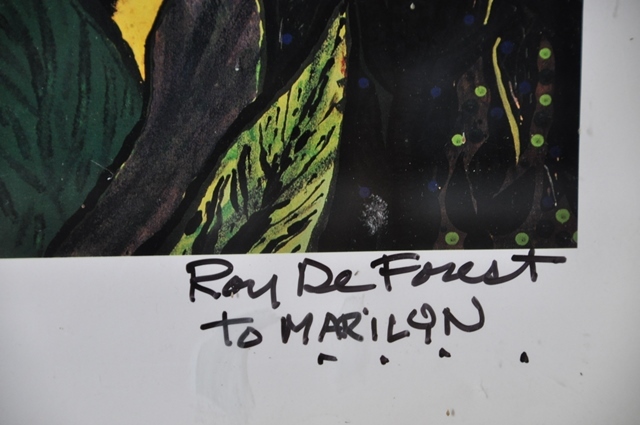 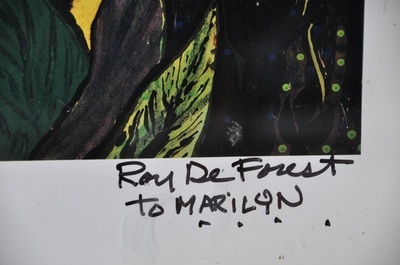 His artistic style has been called California Funk, but he himself did not like that description. 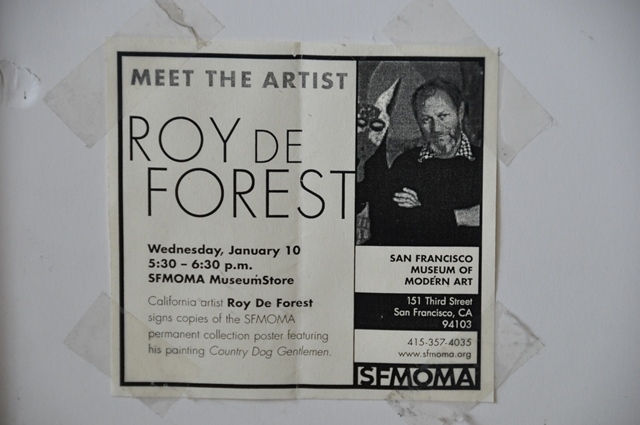 Roy once said, “Create art that makes you happy”.